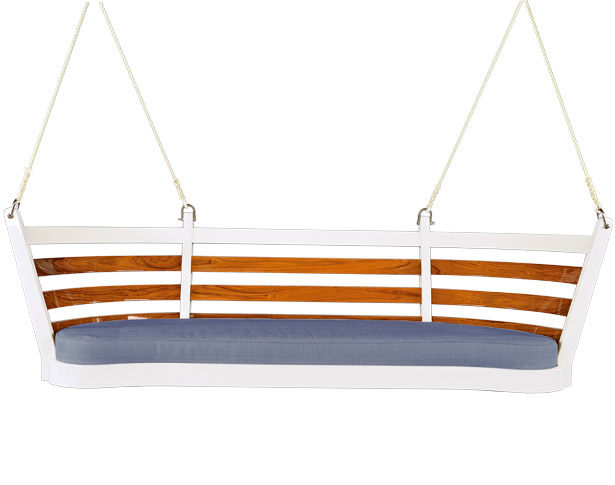 Features: Westport Swing in high gloss white yacht finish is customized with horizontal back and arm slats in teak. In addition, removable legs are provided to convert swing to a free standing settee. This versatile piece is also available in other sizes. Please call for details.